See our raffle quilt at Craft Depot | Eastwood Patchwork Quilters Inc. 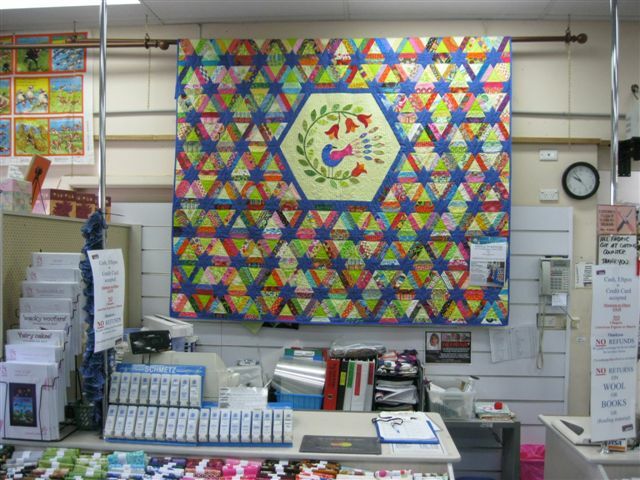 Both of the Eastwood Patchwork Quilters Raffle Quilts are out and about, first prize is at Craft Depot in Pennant Hills and second prize is at Logan’s Patchwork in Leichardt. All proceeds go to a very worthy cause – Special Olympics. This entry was posted in charity, Eastwood, Eastwood Patchwork Quilters, epq, exhibition, patchwork, Uncategorized and tagged charity, Eastwood Patchwork Quilters, EPQ, patchwork, quilting, quilting group, raffle, Special Olympics by eastwoodpatchworkquilters. Bookmark the permalink.